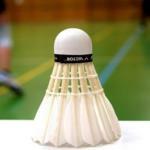 Badminton is a great sport but there always areas we can improve our game with a little practice. So here I have compiled some of the best Badminton footwork tips around. How are your Badminton footwork techniques? So let’s get started and look at how we can better move around the court. If you can move around more quickly (Improve Agility) and in a way that allows you to better anticipate your opponents next move you are more likely to be able to play the Badminton shot you want. Also getting it right means you are less likely to injury yourself and that’s has to be a great bonus! Front Right Side of The Court – The Audio is not the best due the echo but this guy knows his stuff! You will notice how the player returns towards the middle to await their next shot, this is what some people call the ready position. So by practising these Badminton drills regularly you will find yourself becoming quicker around the court and being in the right place more often. This will enable you to put your opponent on the back foot /defensive more often because you will be able to play the shot you want to rather than the one you have to. As well as the training drills videos above, you can also try these more general exercises which should help give you an edge. These will all help increase your speed along with strengthening the leg muscles which should help with mobility around the court. The more you practice these drills the better your muscle memory will be. In essence you will automatically move into position without conscious effort, for example moving into the ready position. So that’s how to improve your footwork in Badminton. It certainly covers most of what you need to work on to improve your movement and agility around the court. So now you have Badminton footwork exercises to work on it’s time to put the theory into practice, as they say it’s all about practice, practice, practice!!! Need help on another aspect of play? Don’t forget to check out the rest of the website which is currently being expanded to cover even more aspects of the sport.